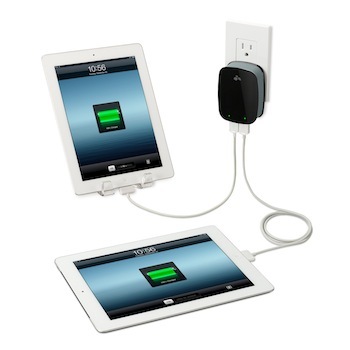 Tired of traveling with two device chargers – one for your iPad and one for iPhone or iPod? Kanex makes this dual USB charger (called DoubleUp) that features two full-power 2.1 amp USB charging ports for fast charging for your smart phones and tablets. And the best part is its LED indicators let you know when each is done charging. Available in white and black. $49 @ www.kanexlive.com/doubleup. This is the case to take when you’re traveling everywhere. 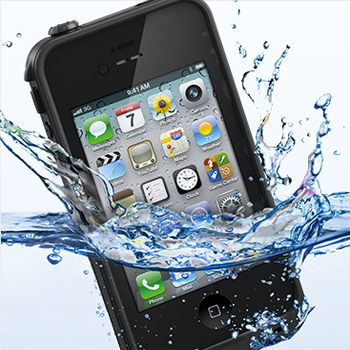 It’s waterproof, dust-proof and shock-proof. So you can take it where you’re never taken it before – the ocean, a lake, or even the shower or tub. Plus it’s sleek low profile barely increases the size of your device. Protection and cool looking. $80 at Best Buy, Target. This entry was posted in Provence Escapes, Travel Gadgets and tagged Battery charger, IPad, iPhone, Smartphone, travel, travel gadgets on May 28, 2013 by Provence Escapes.